Rivers United moved to top position in the Nigeria Professional Football League Group A log following a hard fought 1-0 win against Remo Stars in their rescheduled match day one encounter at the Yakubu Gowon Stadium, Port Harcourt on Wednesday, reports Completesports.com. Former FC IfeanyiUbah forward, Wasiu Jimoh scored the decisive goal in the 95th minute of the encounter. Stanley Eguma’s men sit at the top of the standings with eight points ftom four games. 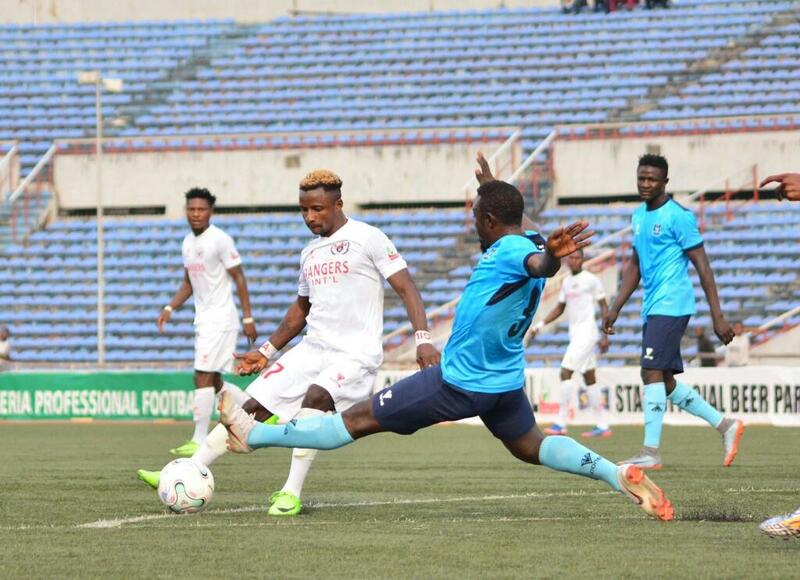 In Enugu, Rangers jumped to second position after edging out Niger Tornadoes 1-0 in another rescheduled match day one clash. Prolific forward, Bright Silas netted the winning goal in the 33rd minute of the encounter. The Flying Antelopes win heaped more pressure on Niger Tornadoes head coach, Bernard Ogbe who has been handed five match ultimatum by the management of the club. The Ikon Allah Boys are yet to taste victory in the NPFL this season. In another Group A encounter, Wikki Tourists got the better of Bendel Insurance following a 1-0 win. Sulaiman Mohammed hit the winner for the home team in the 51st minute. Abdullahi Usman scored the decisive goal in the 12th minute as Yobe Desert Stars beat Gombe United 1-0 at home. Bet9ja NNL Summons President Of Delta Force Football Club To Answer Questions On Match Fixing. ARE THESE THE TOP 20 MANAGERS IN NIGERIAN CLUB FOOTBALL?